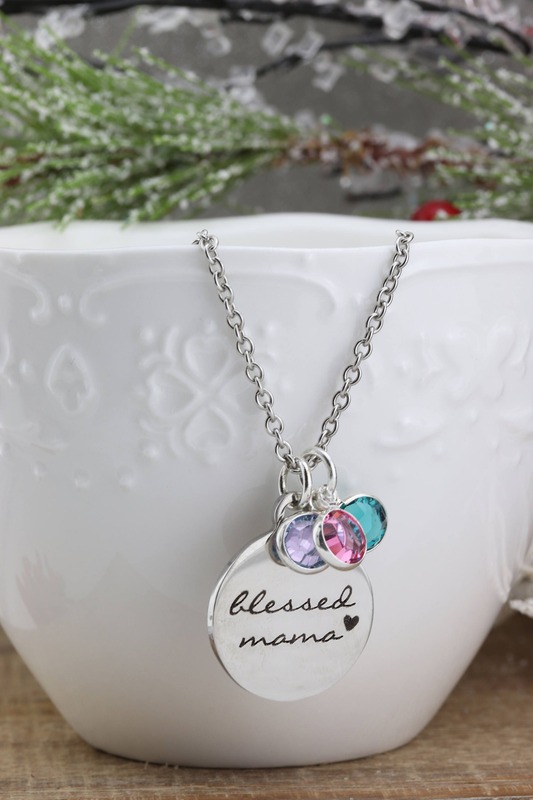 This necklaces features a stainless steel pendant that reads "blessed mama" and is accented by swarovsk birthstone crystals! 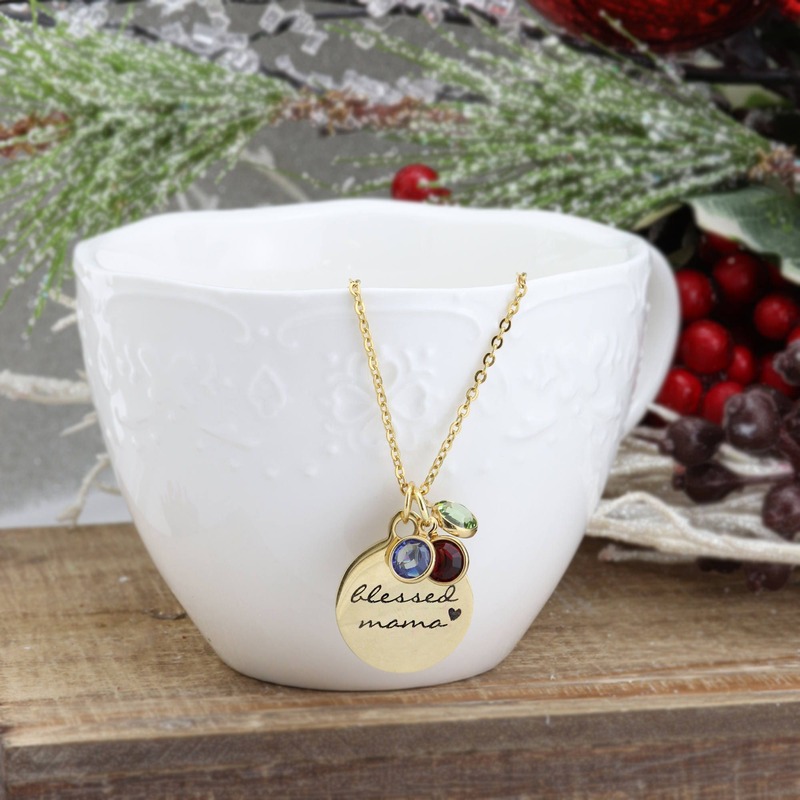 It will come in either gold or silver finish, on an 18" chain. 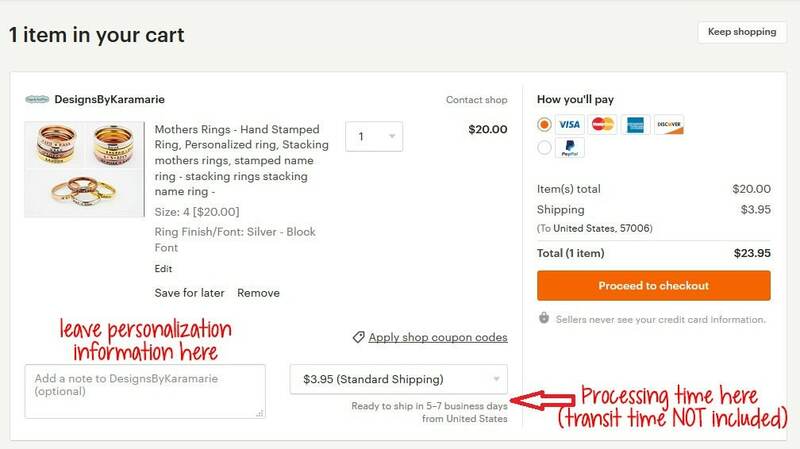 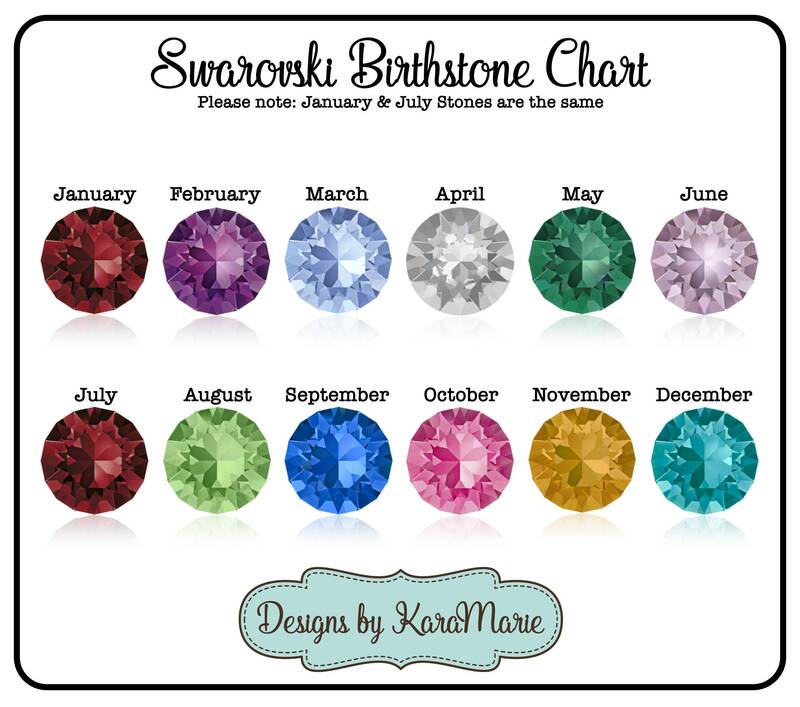 You can choose the number of Swarovski birthstone crystals from the dropdown menu, and personalize by leaving the birth MONTHS in the "optional notes to seller" area BEFORE you checkout!